I had a quiet day. Bronwen and I had lunch with Maz at the Burrito Bar—who actually had all the ingredients to make what we wanted this time, and even got our order right! However, we did have to change seats due to the disturbingly large amount of flies gathered around a window nearby. I started to bother to see what was needed to fix the media centre—and found that the desktop we’d borrowed from Maz had no way of playing surround sound (or any easy way to connect enough hard drives or put in another video card), which while unfortunate, had the fortunate side effect of making me think about surround sound—without that happening, I suspect I’d have bought a cheap motherboard with no concern for it, and then been unable to connect it to the speakers. That was the next thing that happened—I found that none of the two motherboards I can buy to replace the existing broken one had digital audio outputs, making them somewhat useless to me. After sleeping in, I did some research on the Umart and Gocomp sites and came up with a cheap media centre. While waiting for Bronwen—as its technically hers—to OK the purchase, the CPU I wanted sold out at Umart, and then shortly later at Gocomp, then a little while later the next more expensive CPU sold out at Umart, so I panicked, phoned Bronwen, and ordered everything--$161 for an ASRock motherboard with 8 SATA ports and optical audio out (those being the only two things I care about), 4 GB of the cheapest DDR3 RAM I could find, and a Pentium G2120—the cheaper G2020 having sold out. I then spent the rest of the afternoon putting them together, configuring them, running updates, and vaguely hoping it would actually work. I’m quite lazy, so I used the same install of Windows I already had from the previous media centre—which to Windows 7’s credit, worked just fine despite now having entirely different hardware. I also got a call from the recruiter to tell me that the Department of Trees and Fluffy Animals hadn’t accepted my offer—due, I believe, to them not having the budget to afford me. Starting to put the new media centre together. The new media centre on its first run. 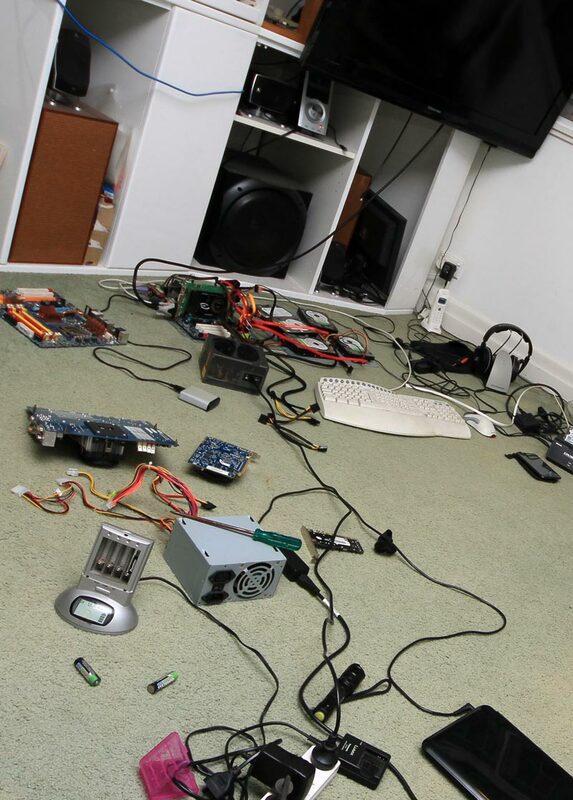 Unfortunately, just after putting it all back together and into its cupboard behind the TV, it started playing up. As soon as I watched video, it froze, and after that began resetting randomly. I ran a memory test and the memory was found to be faulty. The new media centre in its cupboard behind the TV. Memory errors on the new media centre. 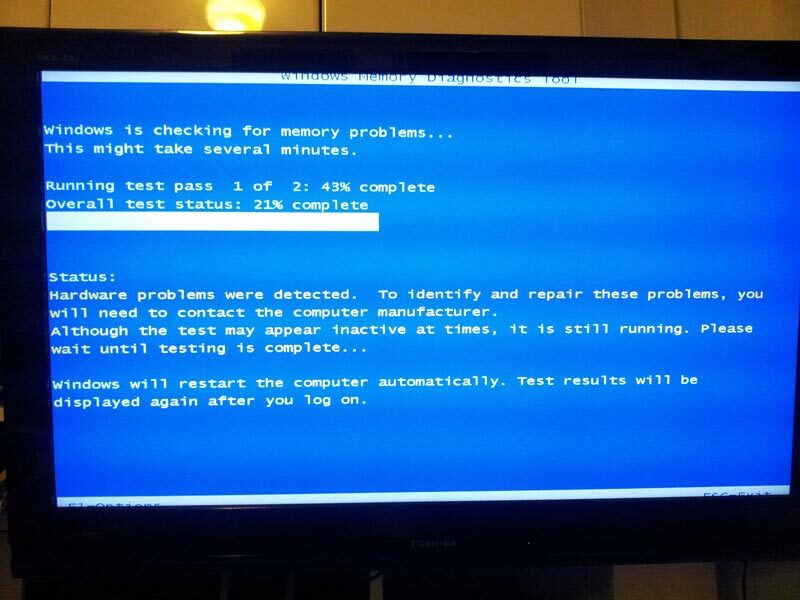 I drove over to Maz’s to test my faulty RAM in his computer—which didn’t even boot with it in, confirming nicely that the RAM was faulty, and hopefully not the motherboard or CPU. I had a lazy morning, eventually driving to Gocomp in Rocklea to replace my faulty RAM. I was initially told it was lunchtime, and asked to come back in an hour—but after some polite refusal to do so, I was given a new stick of RAM. Having survived my trip to Gocomp, I installed the new RAM, ran a quick memory test on it, and played a rough medley of different media formats—all of which worked. Bronwen and I had pizza for dinner and watched some Big Bang Theory on the newly working media centre. The saga of the media centre continues. I’m absolutely sick of it. Everything with it seemed to be working fine, with the exception of its USB wireless dongle. The dongle used to work in the old media centre, and it works if I plug it into my laptop, but if I plug it into the new media centre, nothing happens. The light on the dongle lights up, but Windows doesn’t make a “device detected” noise, and nothing is logged in event viewer, nothing changes in device manager. My theory was that due to the faulty RAM previously, the wireless dongle has been somehow disabled at a level which makes it look like it’s not even being detected. However, apart from that, everything did seem to be working—Bronwen and I watched a few episodes of “The Big Bang Theory” last night without any problems. Today, because I read somewhere that it might help, I ran the Windows hardware trouble-shooter, thinking perhaps that’d find the wireless dongle and make it work. 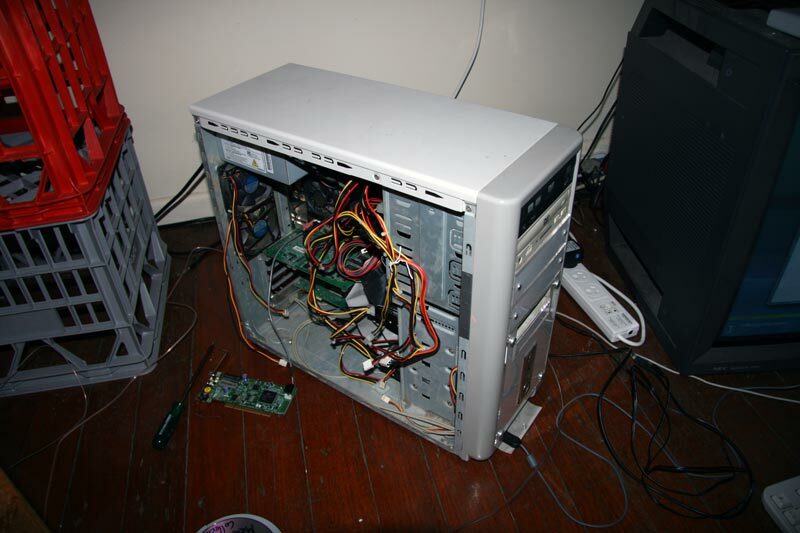 Unfortunately, the hardware trouble-shooter ran for a moment, and then Windows froze up—so I held the power switch down (or more technically, held the two wires where the power switch would normally be together) until the machine turned off, and then turned it on again. Being cursed, instead of just booting up like any normal machine would, it then started up, made some nasty noises, and turned off again. Then started up, made some nasty noises, and turned off again. It kept doing this over and over. As far as I could tell, it wasn’t getting to the BIOS screen, let alone Windows. Back in 2005 (on Wednesday 3rd August, 2005 to be specific) I had got an old 28-inch monitor from uni. It had cost $11,000 when new, and weighed an absolutely ridiculous amount. 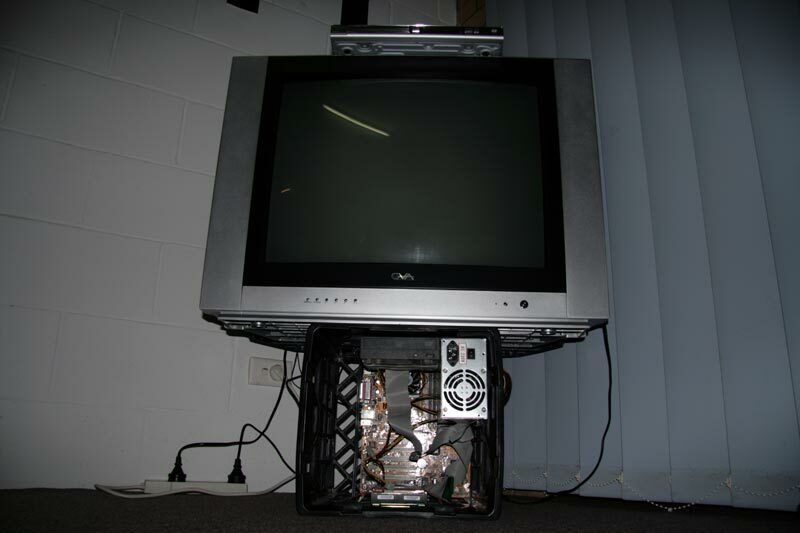 However, being an old monitor—rather than a TV—it supported a much higher resolution than a TV, and was designed to be connected to a computer… perfect for a media centre in the days before anyone I knew could afford flat screens and HD TV. Then, on Sunday 22nd January, 2006, shortly after Bronwen and I moved into our new place at Auchenflower, Clint and Sméagol—who had been looking after it for me—dropped off my 28 inch monitor, and on Saturday 4th March, 2006, Bronwen and I moved it into place, replacing our existing “traditional” TV. Sometime later I ran audio and video from my computer, in my bedroom, to the TV in the lounge room, allowing me to play anything from my computer to the TV. This wasn’t really a dedicated media centre, but it was the start. My first “media centre”–an old monitor connected via a cable to my computer in my bedroom. My first “media centre”–my computer & the cable connecting it to the TV in the lounge room. 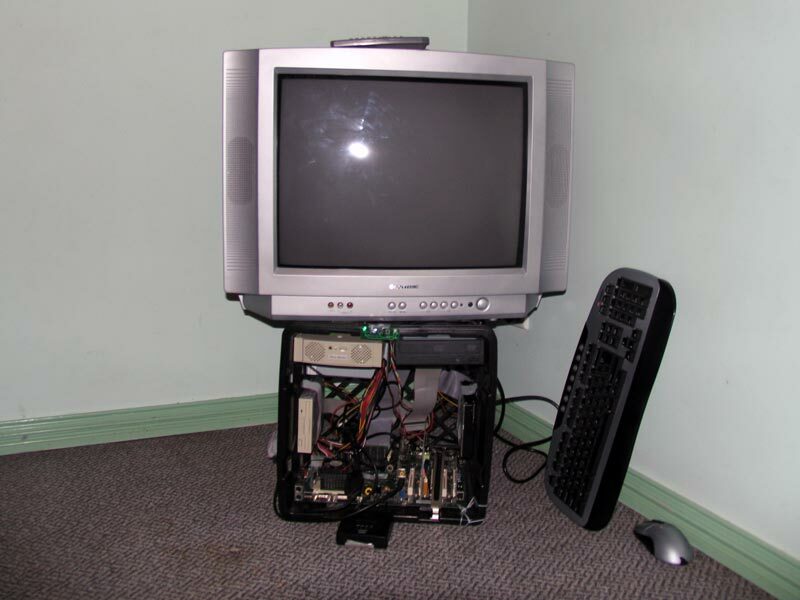 My first “Media Centre”–connected to the TV in the lounge room, the hard drives on top store media. 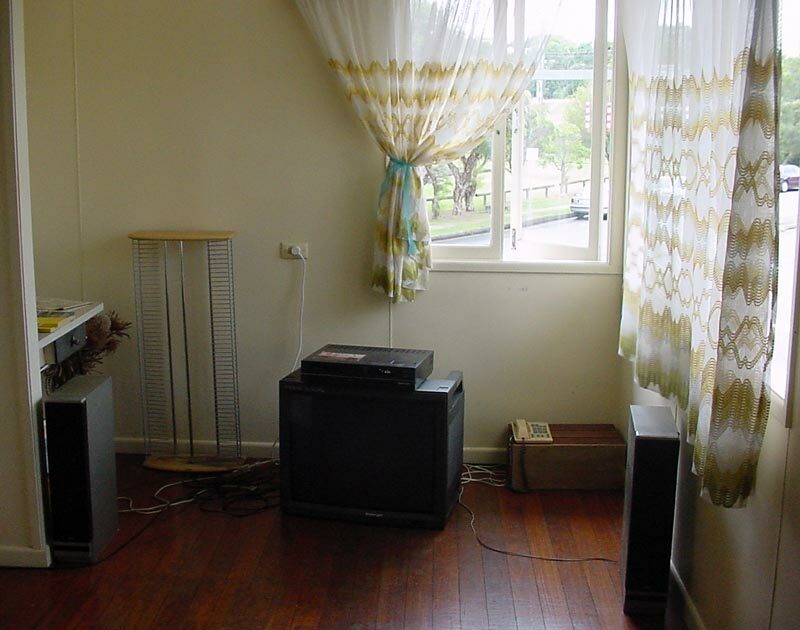 The first photo of a dedicated media centre: Maz’s original milk crate media centre, 1st September, 2006. 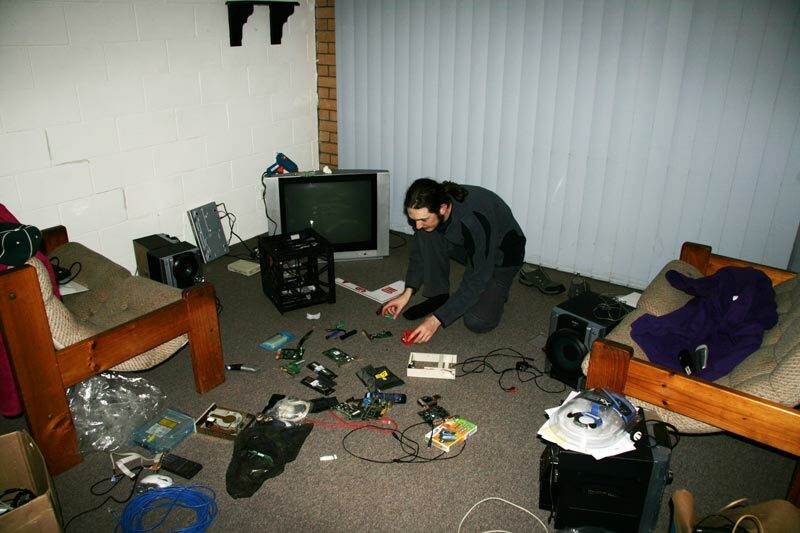 I’m not sure when I built my first dedicated media centre, but it would have been after Monday 21st May, 2007—the day my computer died. 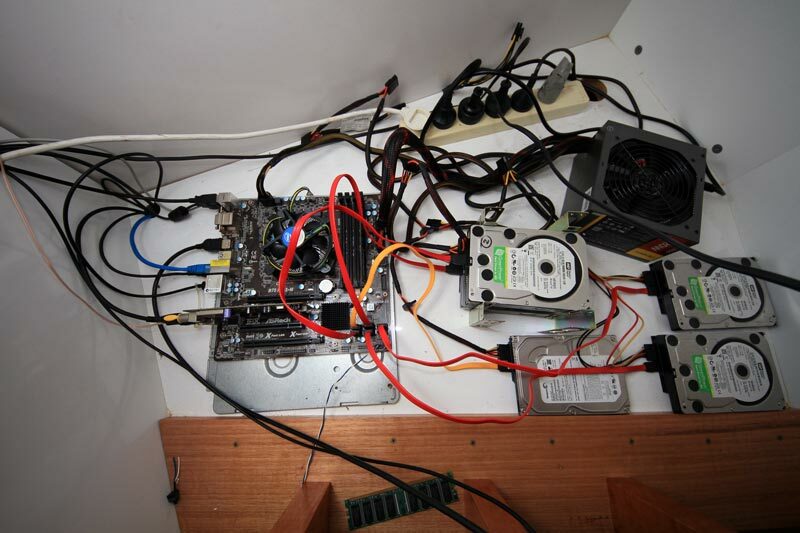 The next day I bought another computer—in parts, from Umart, and this was the start of my dedicated media centre, as I now had most of the spare parts to make a second computer. To put that into perspective, I didn’t buy my first Brisbane car until Monday 25th June, 2007. Building a new computer after mine died. This left me with most of the parts to build a dedicated media centre. Maz working on The Milk Crate Media Centre MKII. The Milk Crate Media Centre MKII. 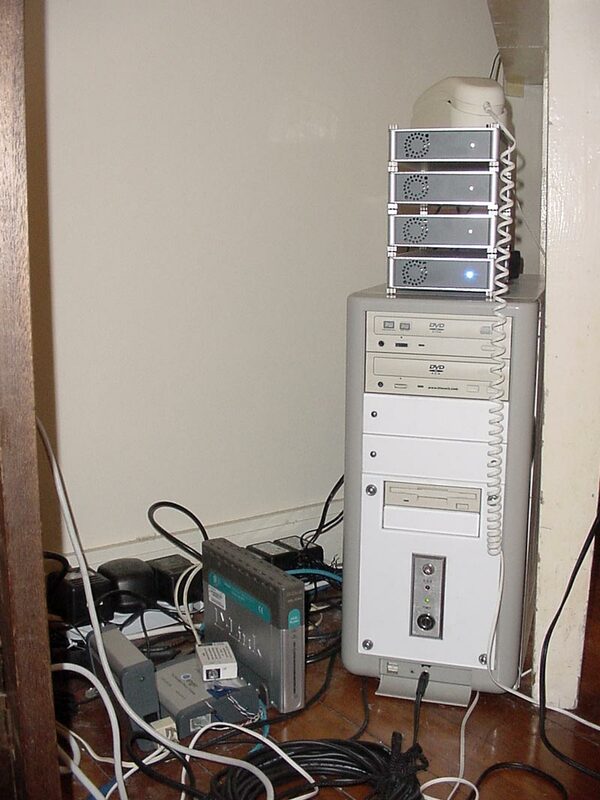 By 2008, my media centre was in full swing. My old computer, now a dedicated media centre, beside the old monitor in the lounge room. 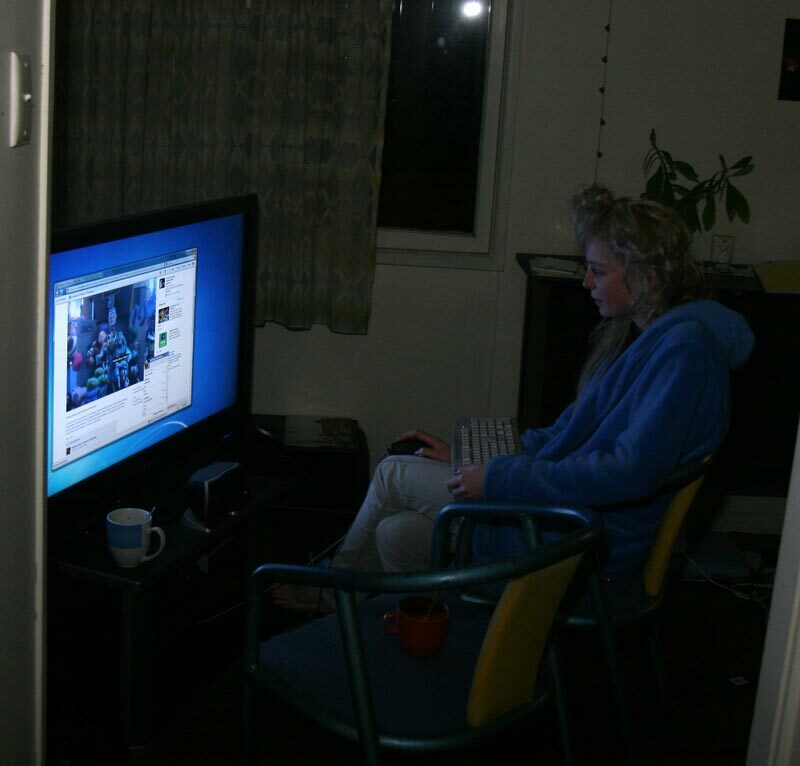 By Saturday 12th April, 2008, the craze was spreading and Bronwen wanted a media centre too–though hers was to serve as both a media centre and a server. Bronwen building her server/media centre with Maz & Kieran. 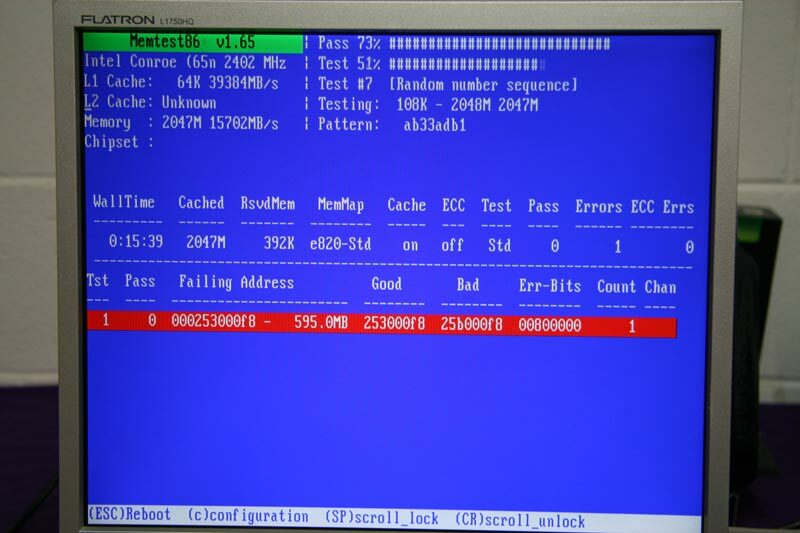 Bronwen’s faulty RAM failing memtest. Of course, the problems weren’t just with Bronwen’s media centre–the problems with mine continued unabated. 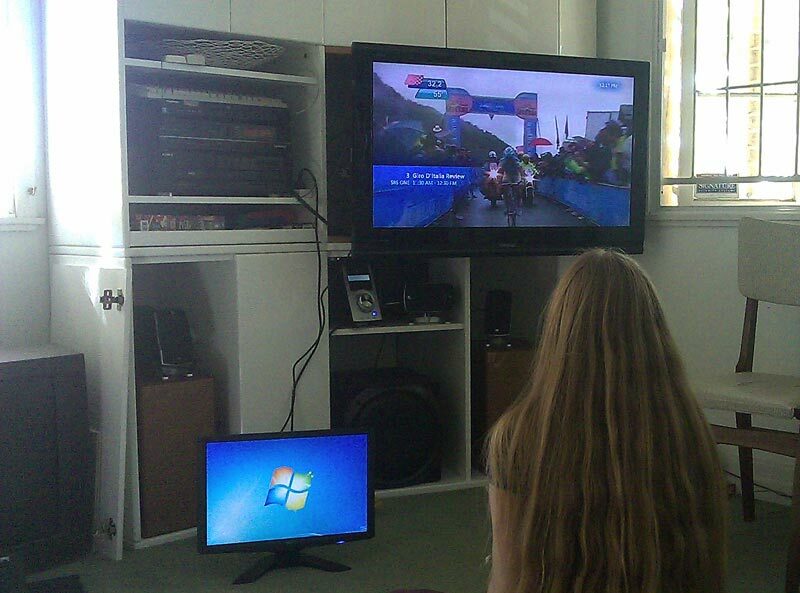 Bronwen with her media centre, installed in a cupboard below her TV. The problems with Bronwen’s media centre continued. 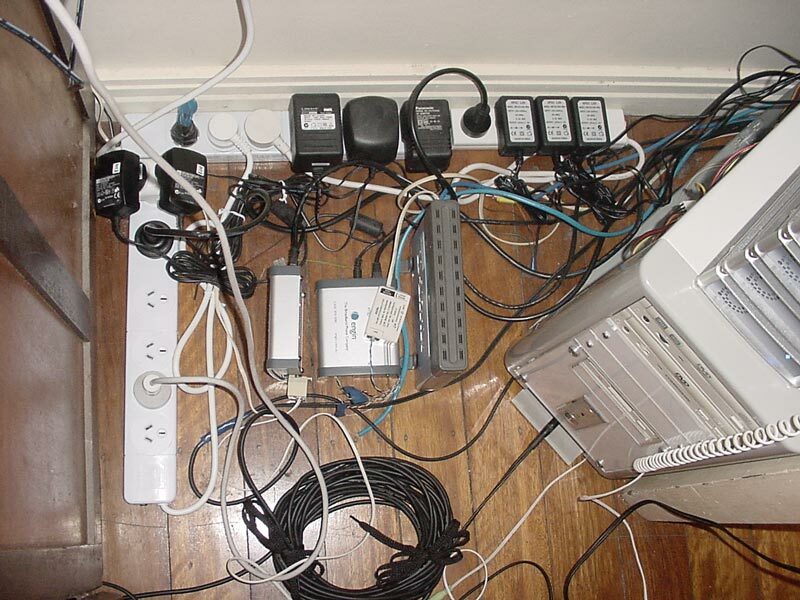 Of course, lest we forget… my media centre was still having its own problems. In the early days of our media centres, DVDs were still very important as downloaded movies hadn’t yet killed them. 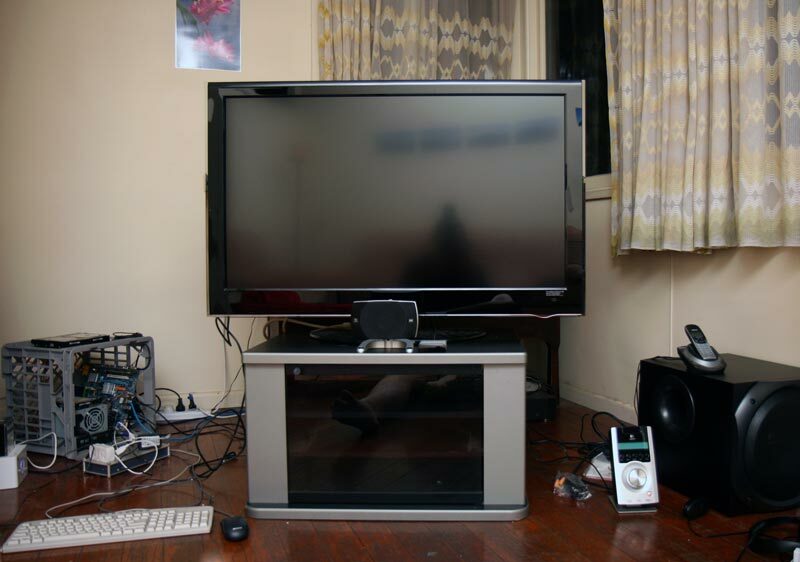 “Night: Found that my media centre has lost the ability to play DVD’s. It simply doesn’t. PowerDVD works just fine, but Media Centre and Media Player don’t work. Last time I fought it, I lost. The TV tuner would not work, and I had to roll back to a previous Ghost image, which for some reason, does work albeit apparently without DVD support. Now I’m going to try again. Step one: Install Vista slipstreamed with service pack one, with the TV tuner card removed from the computer. 4am: This really is insane. I have spent an unbelievable amount of time trying to fix this crap media centre, and it’s going exactly the same as last time—it’s not working. I install a clean install of Vista, slipstreamed with SP1. I ghost that. Ghost fails. So I use Acronis True Image instead. I then install Winrar, PowerDVD, the sound drivers, and reboot. I then put in the TV tuner card. Windows finds drivers for that from Windows Update. I fire up Media Centre. The TV tuner doesn’t work. Neither can I play DVD’s. Windows Media Player says my DVD’s are the wrong region, and can’t be played. They happen to be region-free DVD files on my computer. And the tuner service can’t start; it can’t find a required file. Basically exactly the same as last time. So it appears I cannot have a Vista-based media centre that plays DVD’s anymore. I can ghost back to the old install that will play TV, but I don’t appear to be able to play TV if I reinstall Vista. Perhaps it’s time to roll-back to XP, though the TV tuner didn’t work in that either last time I tried. This is horrible. Why would DVD’s not play? That doesn’t even make sense. Needless to say, PowerDVD can play them just fine, as can my Vista-based desktop machine. 4:45am: Vista cannot play DVD’s from an external hard drive with UAC off. I kid you not. 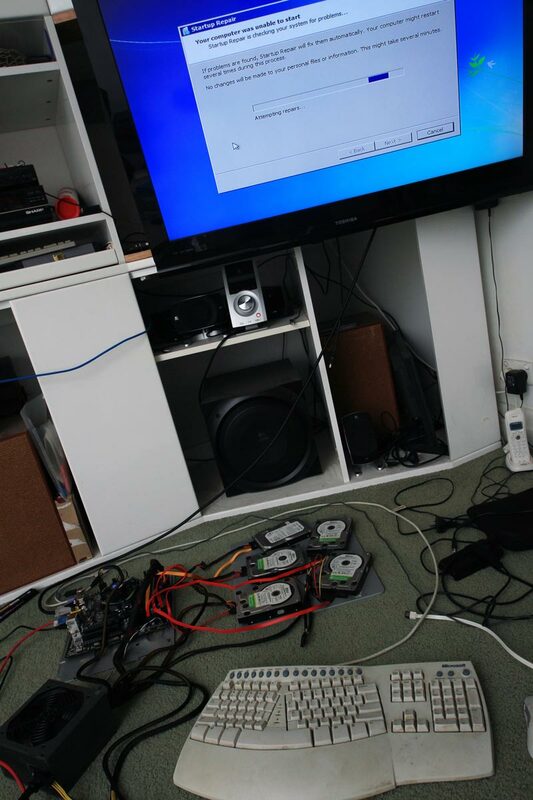 Workarounds include turning UAC on, copying the DVD’s to an internal drive, or mapping the external drive as a network share and accessing the DVD’s via that share. Don’t ask why, just believe, and take a slow, deep breathe. It’s better than screaming. Oh, and DVD support is in the box, I didn’t need to install any DVD players or codecs. 5:24am: I now have TV tuner and DVD support at the same time. For future note: Install the old, outdated drivers that came on the CD with the tuner card before installing any other type of tuner driver, and then prevent anything from ever updating those drivers. That seems to have worked so far. The next two days are then blank. It seems likely I spent the two days working on getting my newly bought media centre to work, and have subsequently repressed the memory of doing so. Stella & Grace watching something on my newly built new media centre (in the milk crate). My old media centre (in the white case) & a pile of cables & boxes, are yet to be packed away. But, needless to say, having replaced my old media centre entirely, it still had the same problems. The tinkering continued, but overall, my new media centre, with Mediabrowser, was actually working. My new 42 inch LCD TV which I won from LG, & my milk crate media centre. This photo, from 9 August, already has my new surround speakers installed. Another breakthrough came in August, when I first got surround sound, courtesy of my newly purchased Logitech speakers. 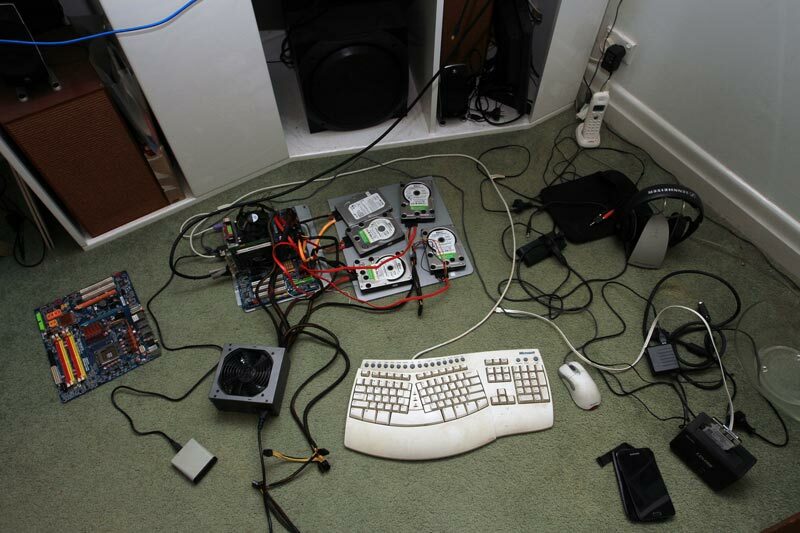 During 2010, as hard as it is to believe, things mostly worked with my media centre. My milk crate media centre became sophisticated, losing its milk crate and being installed inside the stand of the TV–and was used for a while mostly as a computer. 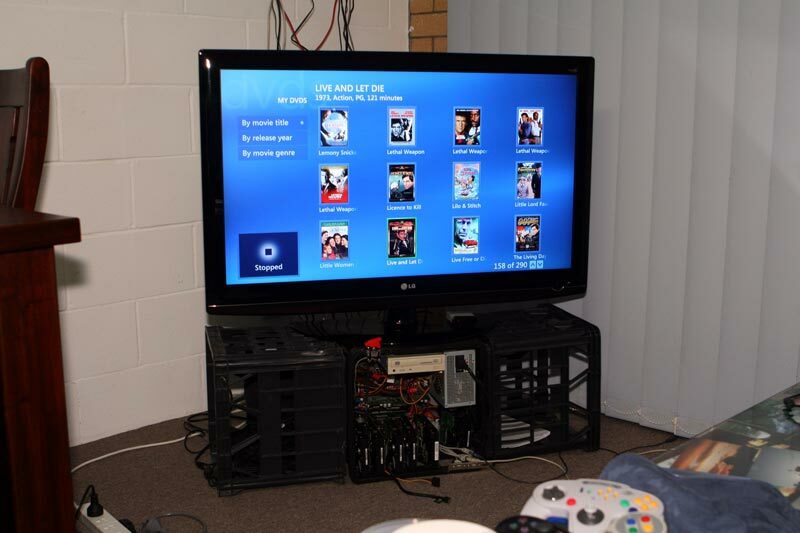 This photo, from 3rd February, 2010, shows my milk crate media centre–now without the milk crate, inside the TV stand. After Blaise & Amy moved in, my media centre began to be used mostly as a computer. 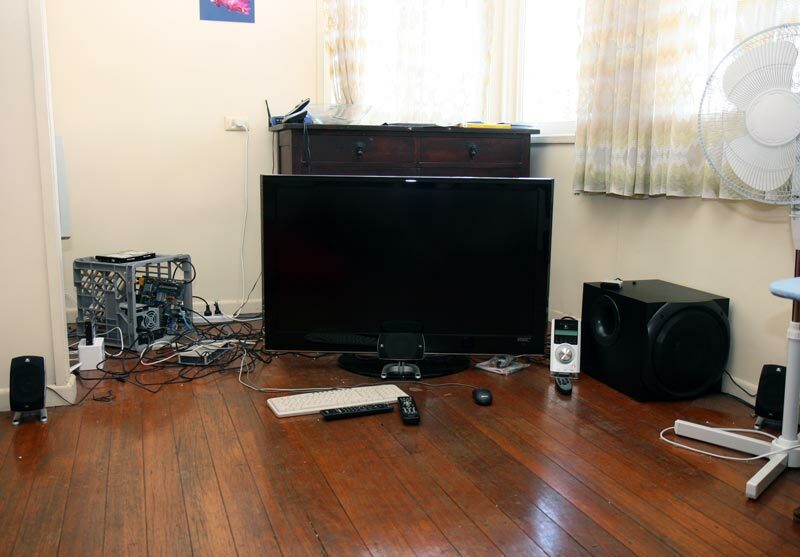 Bronwen’s media centre, however, had a few problems–but also gained some sophistication, upgrading to Windows 7 and being installed behind her new LCD TV. Bronwen working on her media centre, which is now installed behind her new LCD TV, and connected to surround sound speakers. 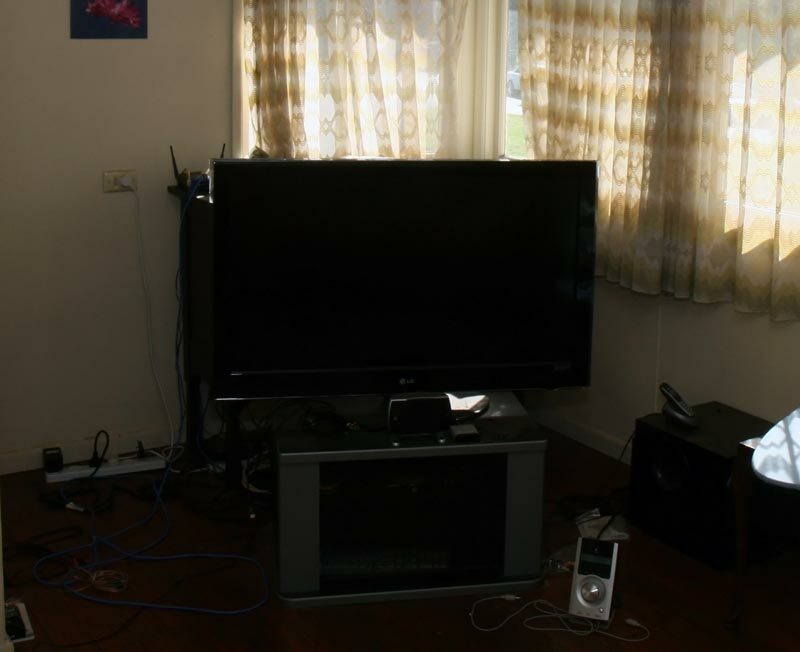 The flood on Tuesday 11th January, 2011 destroyed my place, and I had to hastily move everything I could–including my media centre, TV and surround sound system–to temporary storage at Maz’s. 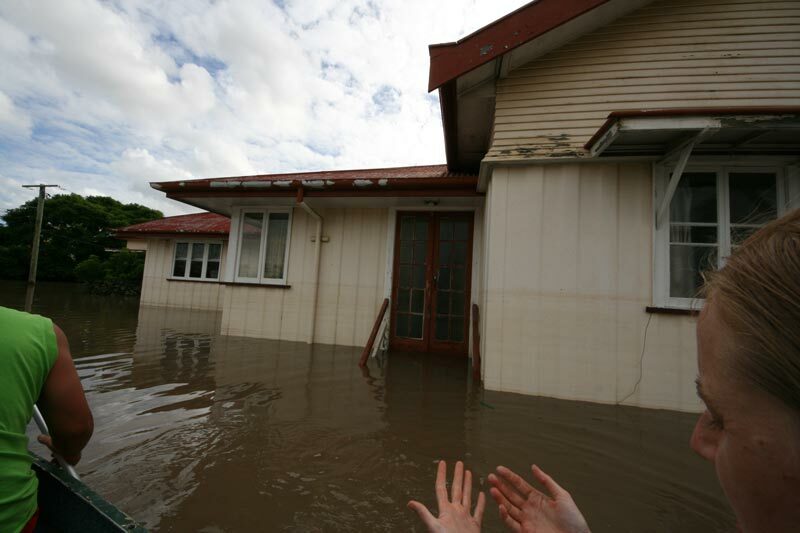 Bronwen & I in a boat outside the second storey of my place after the flood waters have subsided somewhat. On Sunday 30th January, 2011, my media centre–hastily pulled to parts during the flood–was moved from its storage at Maz’s, to storage at Bronwen’s. 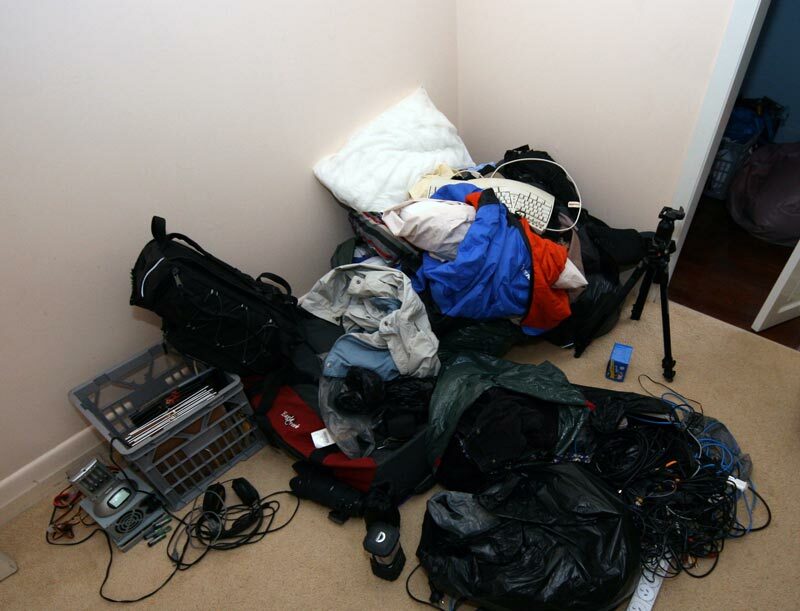 My media centre in parts, hastily packed during the flood, stored at Bronwen’s. In mid-2011, my milk crate media centre (which has been languishing in a box since I moved out of my place during the floods) is swapped with Bronwen’s media centre, which becomes my server. 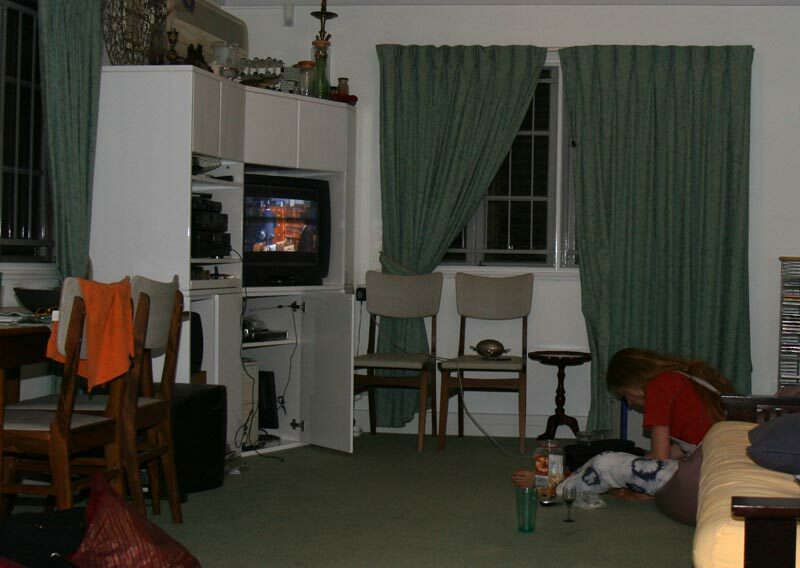 My milk crate media centre–now Bronwen’s media centre–installed behind Bronwen’s TV. But of course, this was not to last. The milk crate media centre was dead. On Saturday 28th April, 2012 it was replaced by a computer from Kieran, which was promptly swapped for a computer from Maz. After a prolonged power outage, the Kieran/Maz media centre died. Testing the Kieran/Maz media centre after it died. Which brings us to last Sunday, 3rd February, 2013, when “I started to bother to see what was needed to fix the media centre—and found that the desktop we’d borrowed from Maz had no way of playing surround sound (or any easy way to connect enough hard drives or put in another video card), which while unfortunate, had the fortunate side effect of making me think about surround sound—without that happening, I suspect I’d have bought a cheap motherboard with no concern for it, and then been unable to connect it to the speakers. I buy, and build, a brand new media centre–The ASRock Media Centre. But, of course, it does not work. “Morning: After sleeping in, I did some research on the Umart and Gocomp sites and came up with a cheap media centre. While waiting for Bronwen—as its technically hers—to OK the purchase, the CPU I wanted sold out at Umart, and then shortly later at Gocomp, then a little while later the next more expensive CPU sold out at Umart, so I panicked, phoned Bronwen, and ordered everything--$161 for an ASRock motherboard with 8 SATA ports and optical audio out (those being the only two things I care about), 4 GB of the cheapest DDR3 RAM I could find, and a Pentium G2120—the cheaper G2020 having sold out. 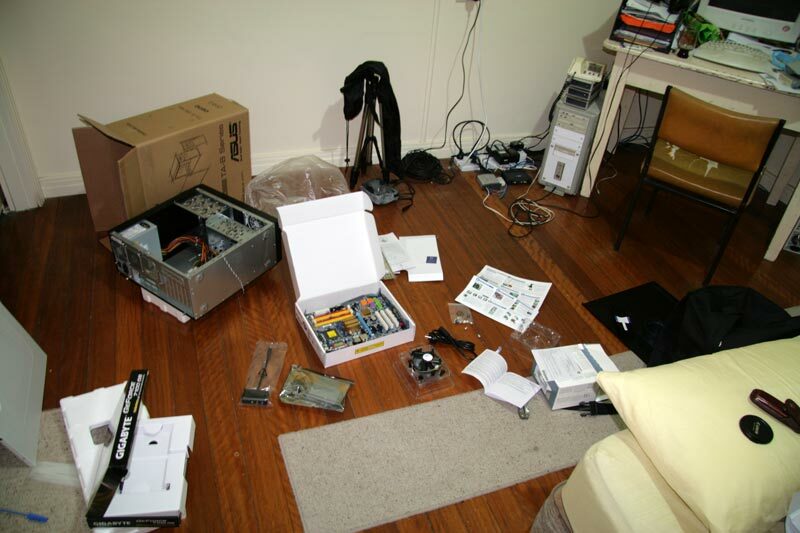 “Day: I had a lazy morning, eventually driving to Gocomp in Rocklea to replace my faulty RAM. I was initially told it was lunchtime, and asked to come back in an hour—but after some polite refusal to do so, I was given a new stick of RAM. Which brings us right back to where we started, Wednesday 6th February, 2013: “The saga of the media centre continues. I’m absolutely sick of it. Everything with it seemed to be working fine, with the exception of its USB wireless dongle. The dongle used to work in the old media centre, and it works if I plug it into my laptop, but if I plug it into the new media centre, nothing happens. The light on the dongle lights up, but Windows doesn’t make a “device detected” noise, and nothing is logged in event viewer, nothing changes in device manager. My theory was that due to the faulty RAM previously, the wireless dongle has been somehow disabled at a level which makes it look like it’s not even being detected. However, apart from that, everything did seem to be working—Bronwen and I watched a few episodes of “The Big Bang Theory” last night without any problems. 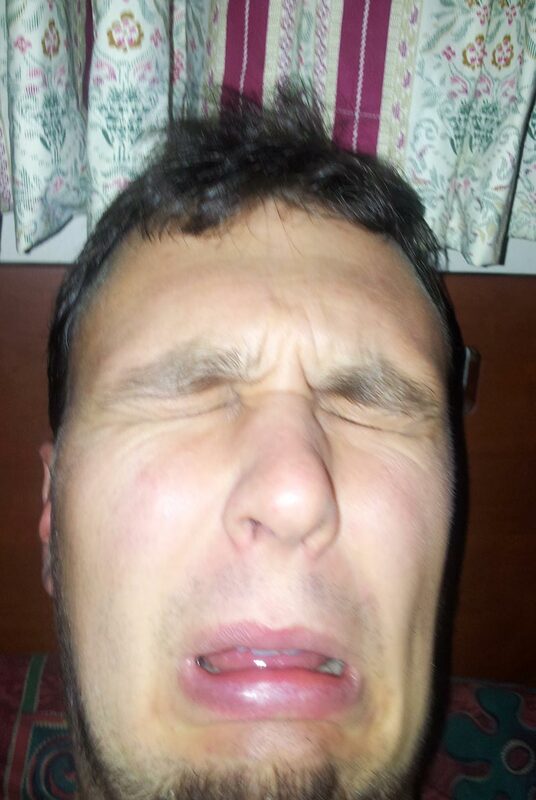 Ned, after realising the new ASRock media centre, which was working the night before, now no longer boots. Which brings me back to now. So it won’t boot—after working fine yesterday. I remove all the hard drives except for the OS hard drive, and it boots—except the TV tuner card now says it has no drivers installed, and when I try to automatically install some, it says it can’t find any. I put one hard drive back in (plus the OS hard drive) and it still boots. I put two in, it doesn’t boot. Thinking I’ve isolated the problem to a broken hard drive, I plug a second hard drive into the same SATA port, and it still doesn’t boot. 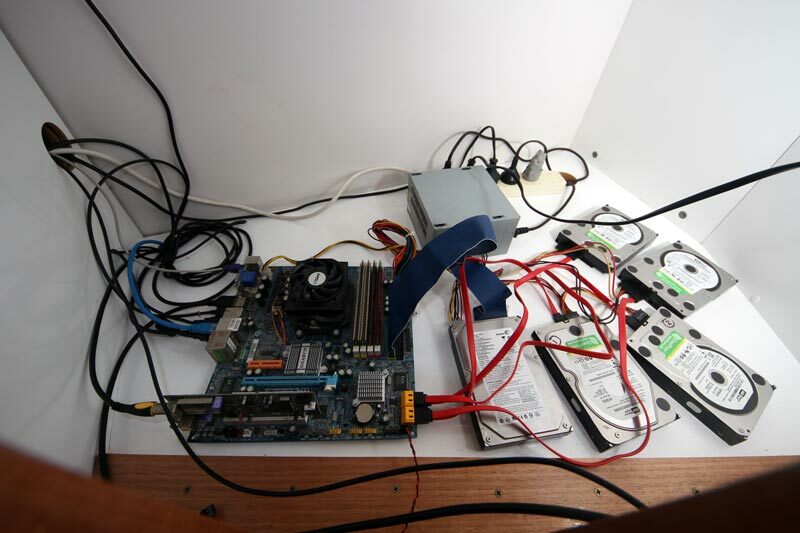 I swap the second (third if you count the OS drive, which I won’t from now on) to the third SATA port, and it boots. I slowly put all the hard drives back in, leaving the second (technically third, if you count the SATA port the OS is on, which I won’t) SATA port blank, and it boots. Assuming I’ve isolated the problem to a broken SATA port, I swap a different hard drive to the seemingly broken SATA port and unplug some others, and it boots. I plug a few more in, and it doesn’t boot. I unplug some, it still doesn’t boot. 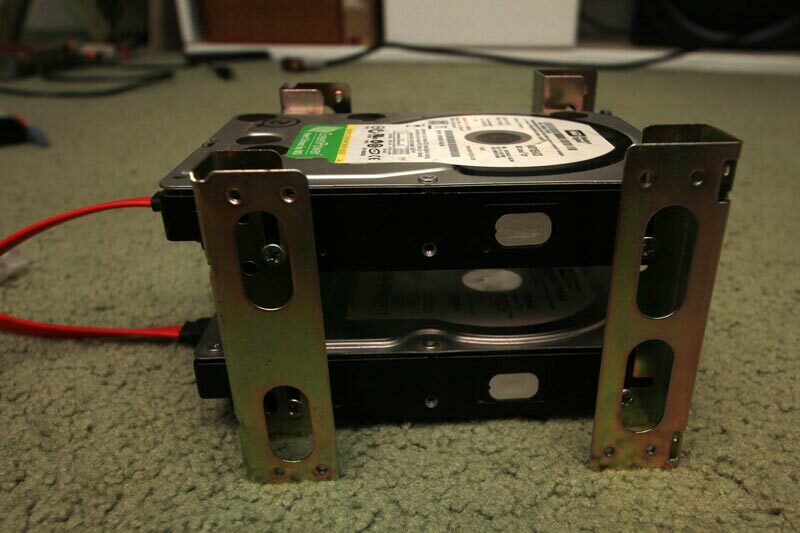 I use different SATA ports, it does boot. I try more, it doesn’t boot. A butterfly in the Amazon flaps its wings, it doesn’t boot. The butterfly suffers a heart attack, falling from the sky. It boots. I start to go insane. Got a call from Mettro to say that Ray White development has been pulled back in-house, which effectively means it’s unlikely I’ll get much—or any—more work from them. Bronwen and I drove to Maz’s, and then rushed to Kenmore Nando’s for dinner. After dinner we dropped Maz home and drove to the city via Bronwen’s parents’ place, and watched “Race 2” at the Myer Centre. It wasn’t anywhere near as good as Don—the standard to which I measure all Bollywood movies now—but even so, it was better than the majority of Hollywood action movies. I had a quiet day at home. I wrote about the history of the media centre—speaking of which, it seems to be working at the moment, though I still haven’t been game to unplug the power. Bronwen and I went to Woolworths and had dinner at home, watching some “The Big Bang Theory” on the still-working (but still not unplugged) media centre. Maz’s car battery had gone flat—he thinks because his remote unlock button had got stuck down—so Bronwen and I drove over to Maz’s place, via Bronwen’s parents’ place, to drop off a battery charger. I scanned lots of documents. I took the car back to have its wheel balance checked. Apparently it’s fine. Bronwen and I drove over to Maz’s, and then to Halim’s for dinner. Bronwen and I found some exercise equipment in a nearby park. 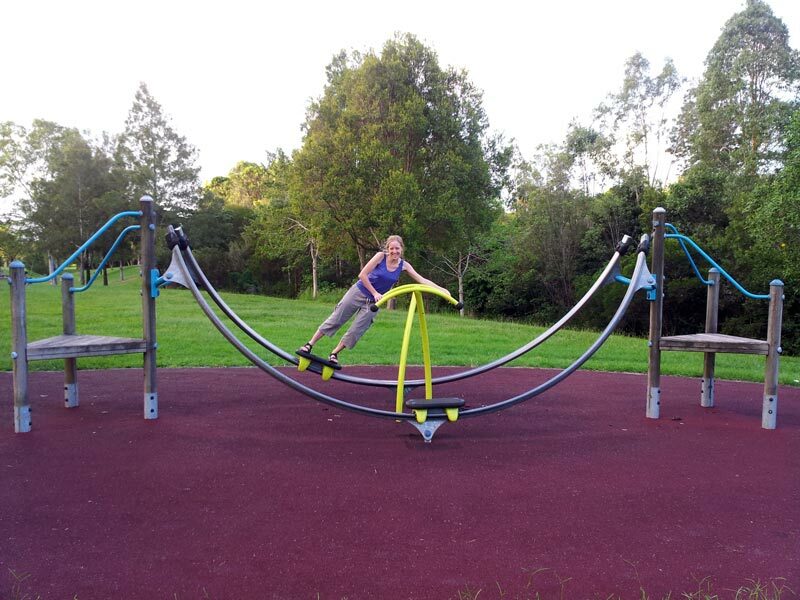 Bronwen testing some unusual exercise equipment in a nearby park. 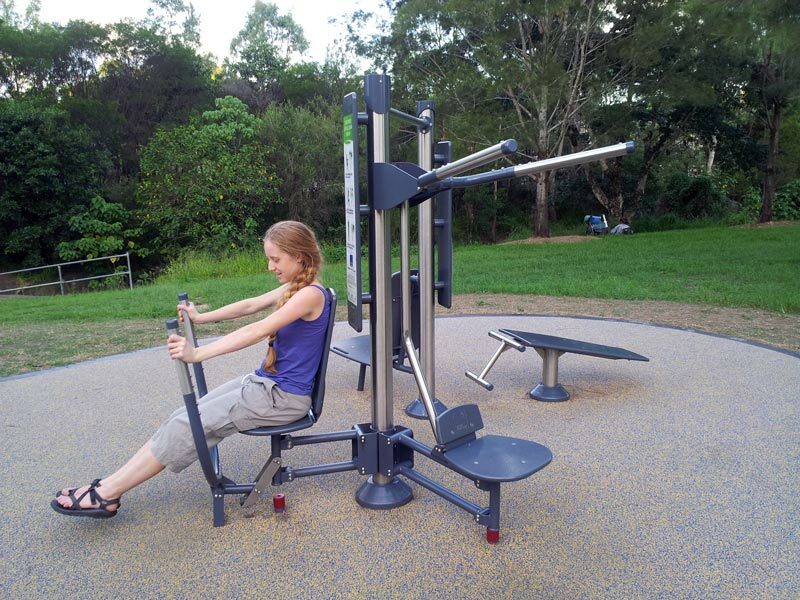 Bronwen testing new exercise equipment in a nearby park. Created about 6 yrs, 2 mths ago (February 7, 2013). Updated about 6 yrs, 2 mths ago (February 13, 2013).